Naim releases network player update with BBC Radio HLS support | What Hi-Fi? From today (29th June), Naim network player owners can obtain a firmware update which will enable DSD playback and the high-res BBC Radio HLS format. 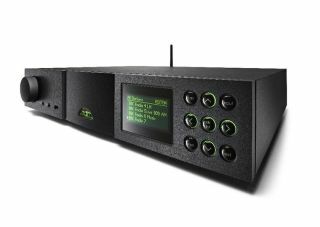 DSD playback will be available for owners of Naim streaming products with the SHARC DSP software. These include the ND5 XS; NDX; NDS SuperUniti and NAC-N 272. Flagship NDS network players will now benefit from multi-room capabilities and all Naim players can now support the BBC’s HLS radio format, as well as Spotify Connect in multi-room mode. The added support of HLS radio will be a welcome update to many Naim owners, after the BBC made some unexpected changes to its AAC streams, changing them to HLS. Naim was able to reactivate just the BBC Radio 3 320kbps link, the rest being in 128kbps MP3 format. Naim has also announced that the ND5 XS, NDX and NAC-N 172 XS network players will now ship with aptX Bluetooth compatibility, and these come with a £100 premium to reflect the changes. The 4.3 firmware update is available free from Naim’s website, where a table detailing how supported Naim products will be affected can also be found.